Nowadays, there are numerous open source platforms that help to develop outstanding websites, but, many folks like CodeIgniter. CodeIgniter permits a hassle-free website development because it provides numerous options that support quick and efficient development. 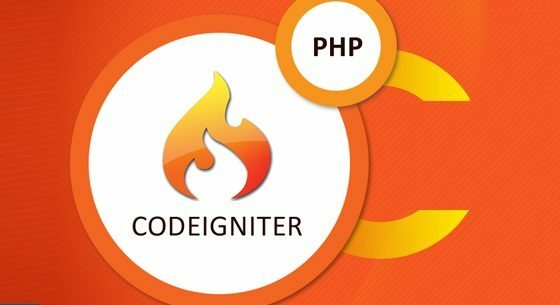 CodeIgniter is an open source rapid application development framework that’s used to develop dynamic websites with PHP. CodeIgniter goal is to develop projects much quicker and helps you to significantly concentrate on your project by reducing the amount of code required for a given task. If we tend to consider web applications with advanced options, then Codeigniter is one of the efficient PHP Frameworks. Codeigniter has many complicated functionalities. Some of the important CodeIgniter feature and benefits are listed below. Full Featured database classes which support for several platforms. Offers flexibility and straightforward management with MVC based framework. Active Record Implementation is simply excellent and easy to recollect. Facilitates simple working with a range of developers. Codeigniter is quick, reliable, lightweight and more capable. Codeigniter PHP Development is a most straightforward way to utilize modular programs. Codeigniter PHP Development is compatible with most web servers, varied operational systems, and platforms. PHP developers are located globally and without facing any problem with Codeigniter. In PHP development you can see a numerous quantity of support through blogs and forums. Codeigniter is outstanding among developer attributable to effort investment. In Web Development, many options are nearly constant in order that you’ll describe the same code in a numerous way. Codeigniter PHP Development is compatible with most web servers, various operative systems, and platforms. Codeigniter has an impressive performance yet as presentation. And It permits to integrate its own existing scripts and develop core libraries for the system. While configuring the PHP framework, Codeigniter is known among developer owing to effort investment. Excellent documentation of the user guide that helps coders to use the complete framework easily. With the assistance of CodeIgniter, you’ll create synergistic, spontaneous, interactive, and expert websites in no time. As CodeIgniter provides a comprehensive compatibility along with standard hosting accounts, configuration and typical coding rules aren’t required. The framework itself has no built-in ORM. CodeIgniter framework is a very useful and powerful tool in web development. However, for utilizing this framework, one should hire PHP web development company who is able to effectively use this great tool for all of your PHP web development projects. A flexible PHP web development services provider will perceive this framework significantly so it can be used to its maximum potential.